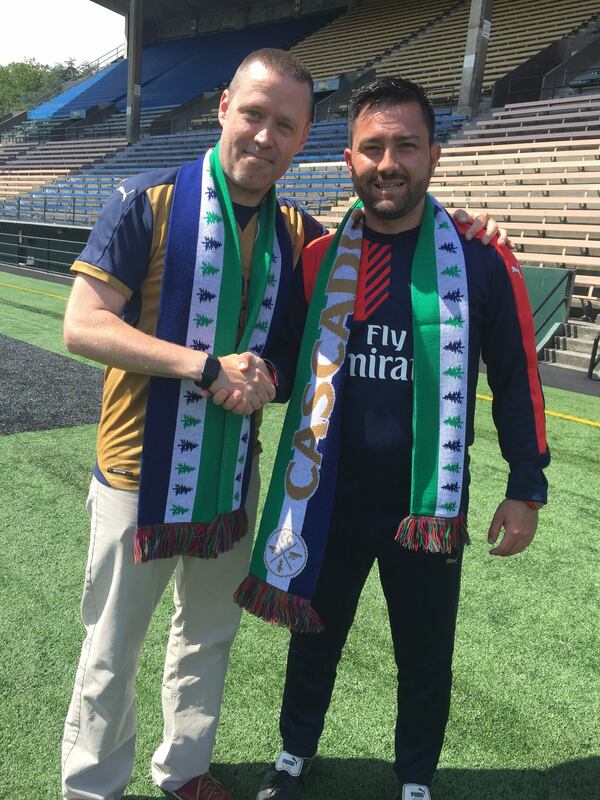 Between 20 and 25 Cascadia Gooners attended the open portion of training which lasted for about the final 30 minutes of the training session. 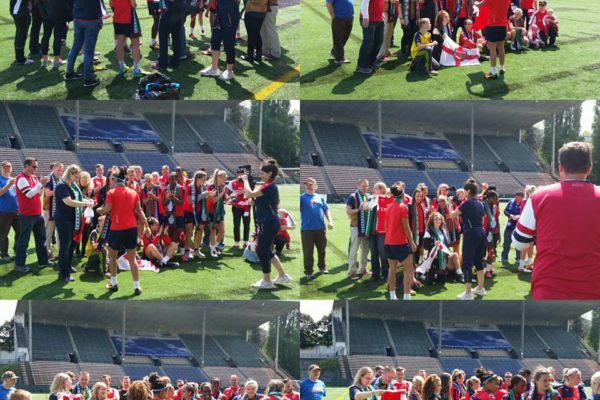 During this time we watched a small sided scrimmage and some team skills competitions. 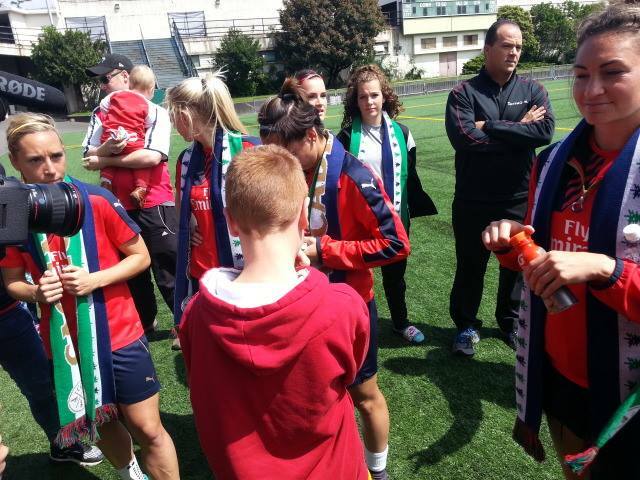 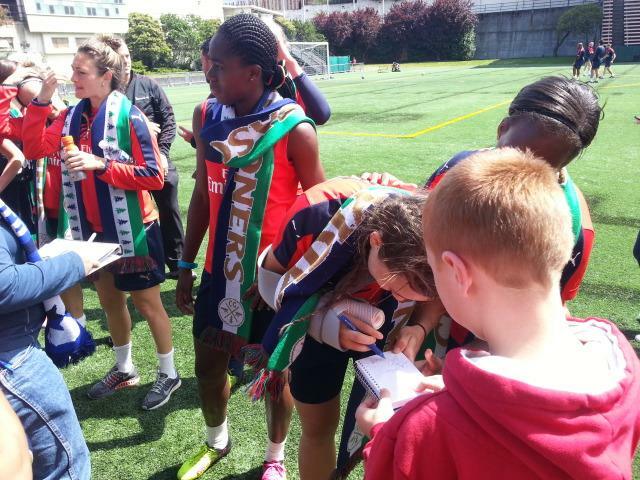 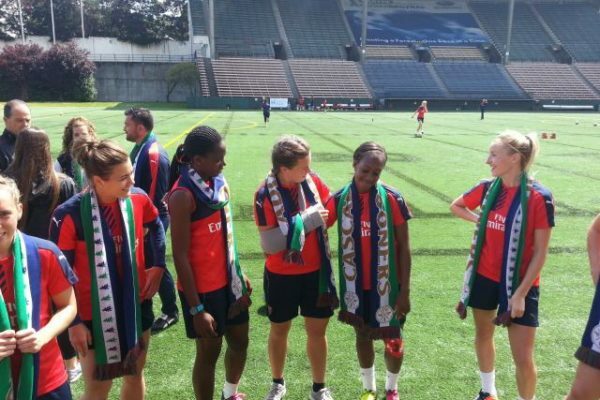 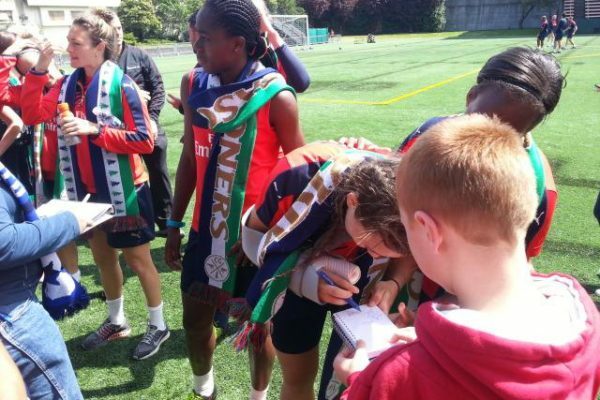 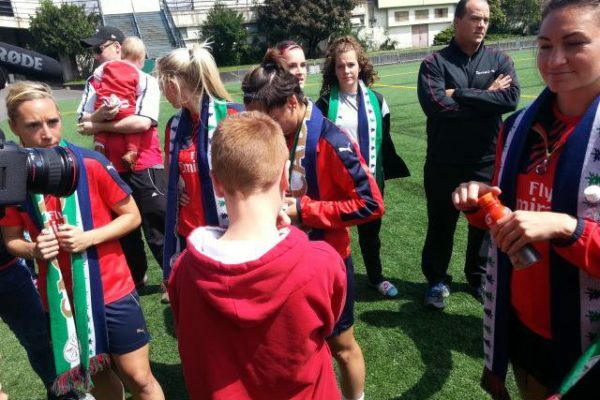 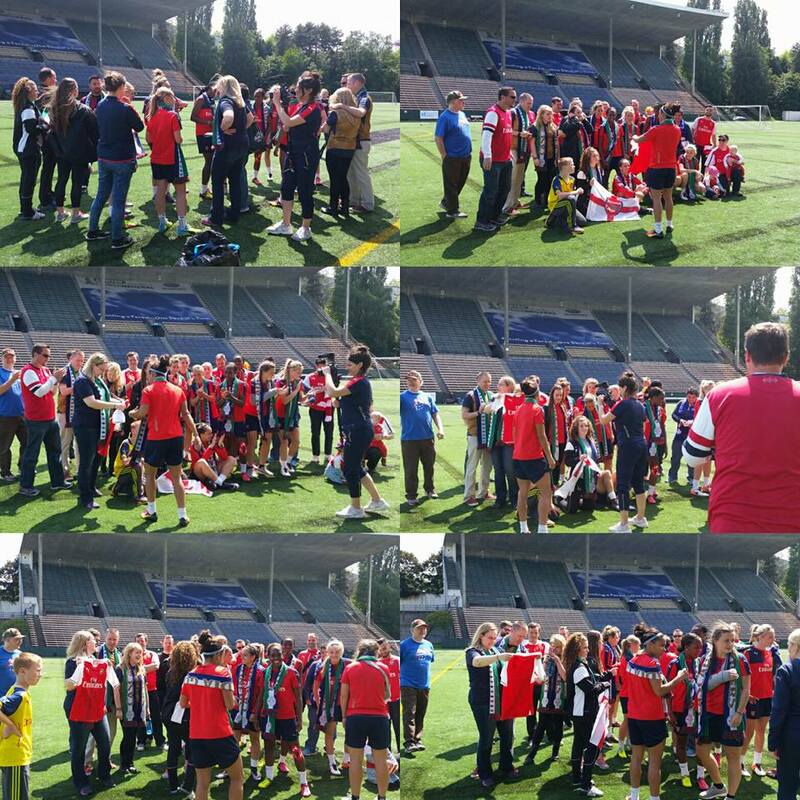 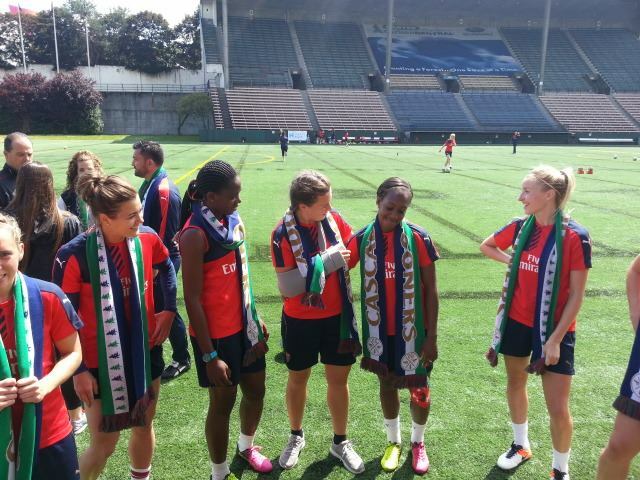 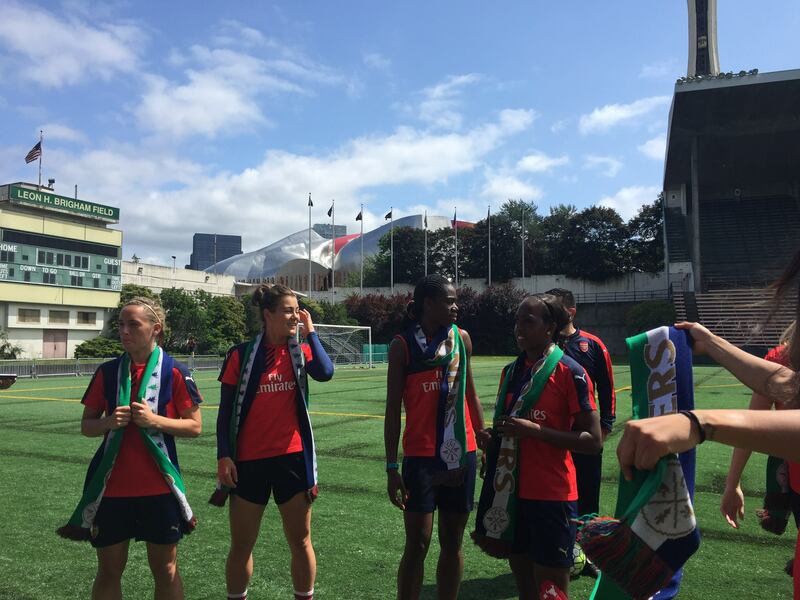 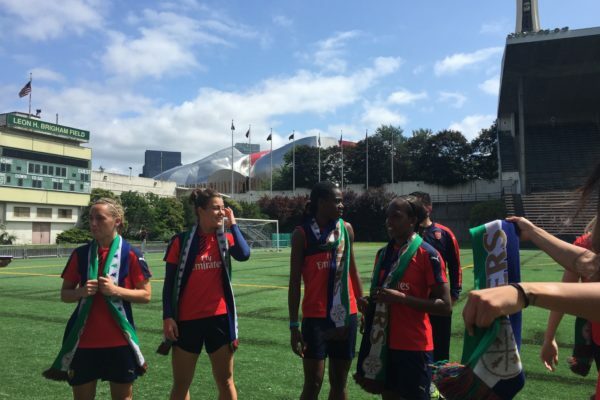 Afterwards the entire team, along with Team Manager Pedro Martinez Losa, and AFLC General Manager Clare Wheatley participated in an on field 30 minute meet & greet with Cascadia Gooners. 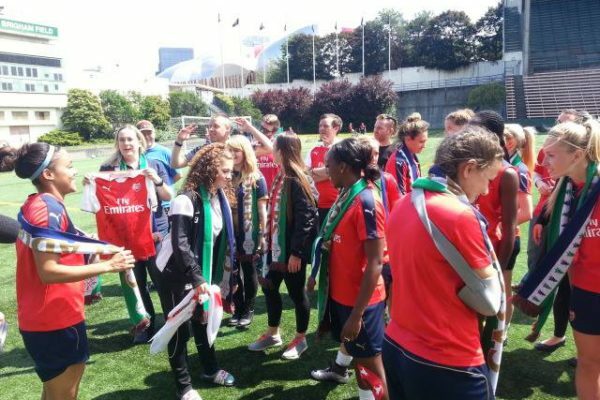 All of the ladies and the coaching staff and GM, were incredibly engaging, friendly and gracious with their time; they signed autographs, took pictures. 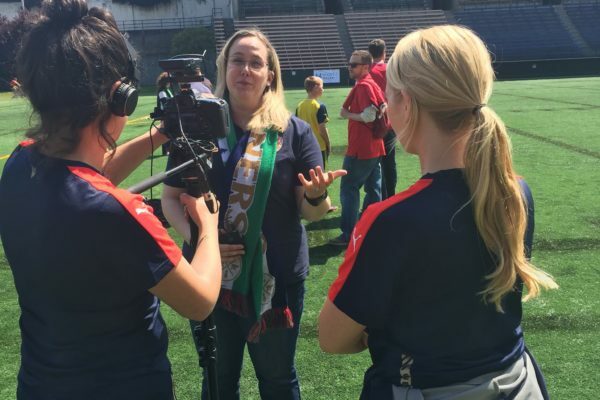 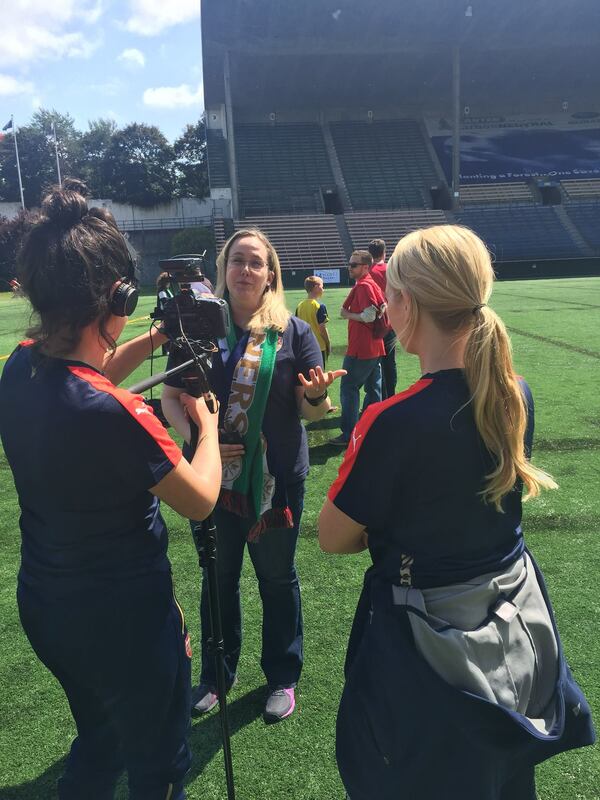 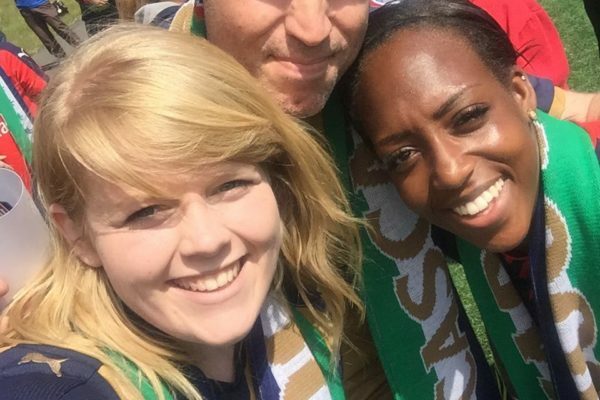 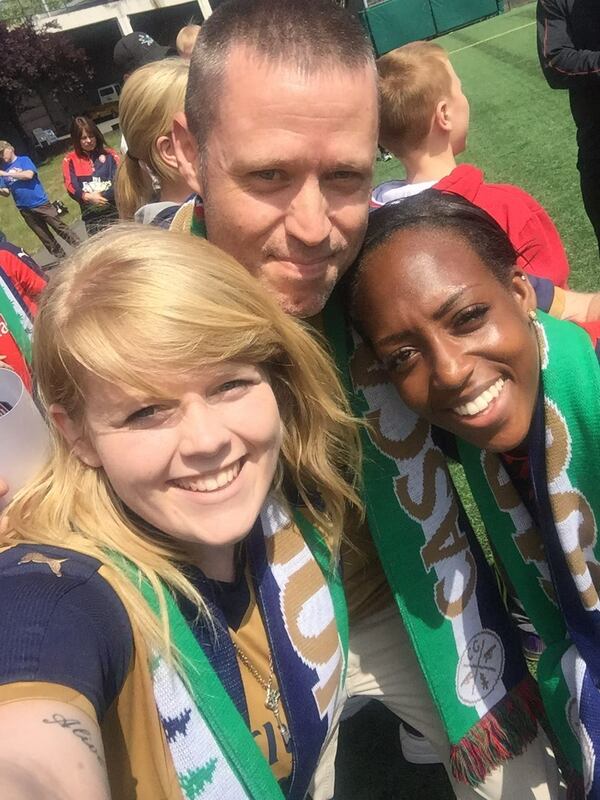 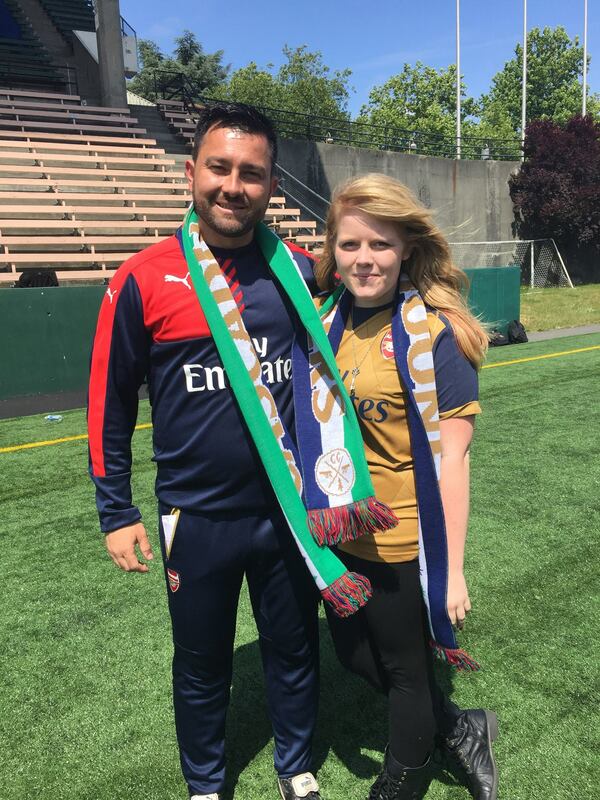 Members of the Clubs Social Media and Communications staff interviewed several Cascadia Gooners along with taking numerous pictures and video footage of the event. 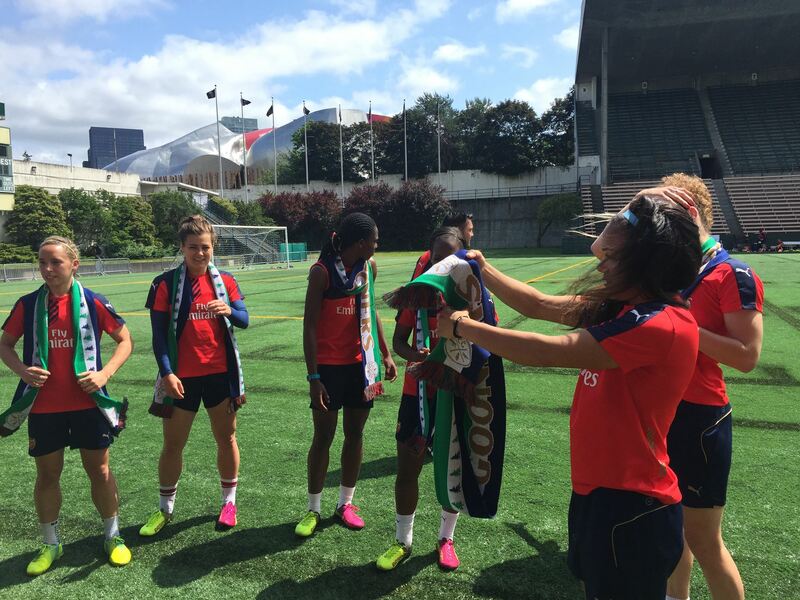 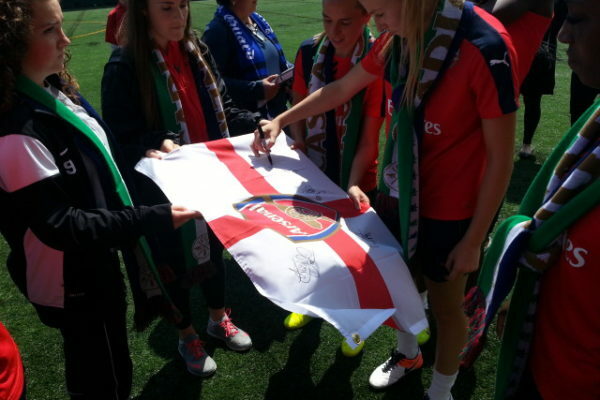 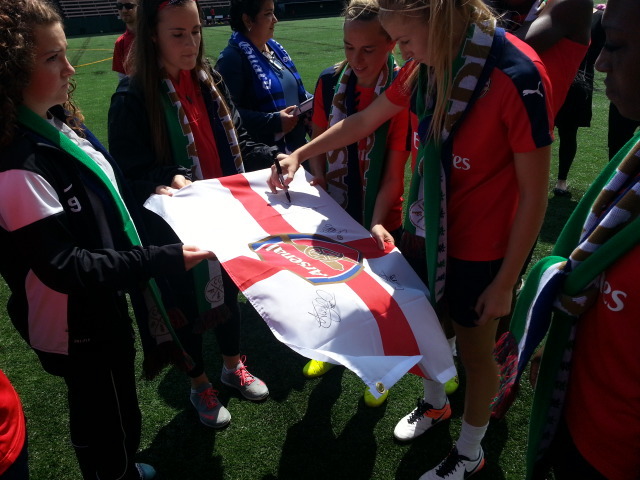 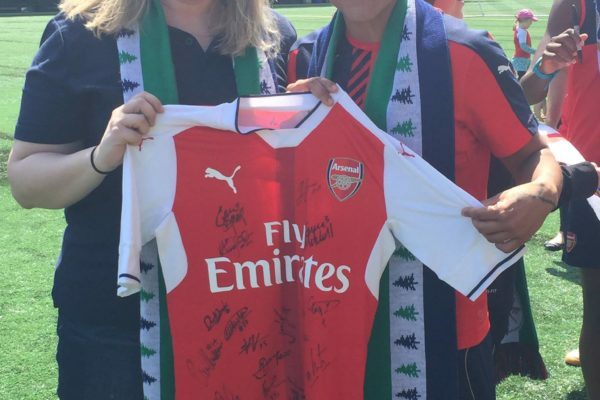 Towards the end of the meet and greet the Club presented the Cascadia Gooners with a signed 2016 / 2017 Arsenal Kit. 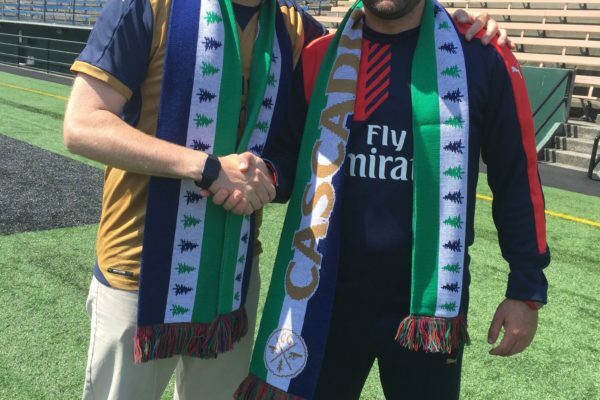 This signed Kit is the very first 2016 / 2017 Kit to be released outside of the Club world-wide, and the 2016 / 2017 Kit will be making its competitive debut in the match. 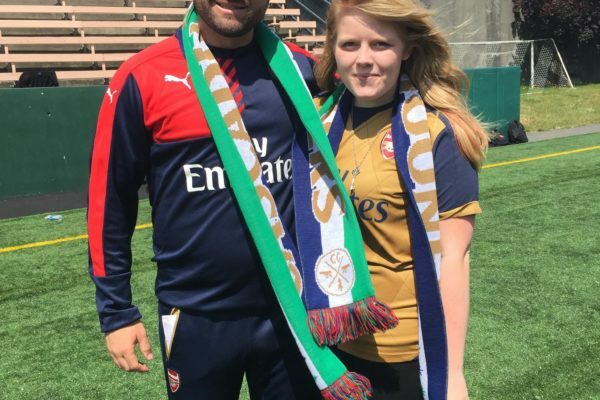 The Cascadia Gooners will be getting the Kit framed and proudly display it at our PUB, The Atlantic Crossing. 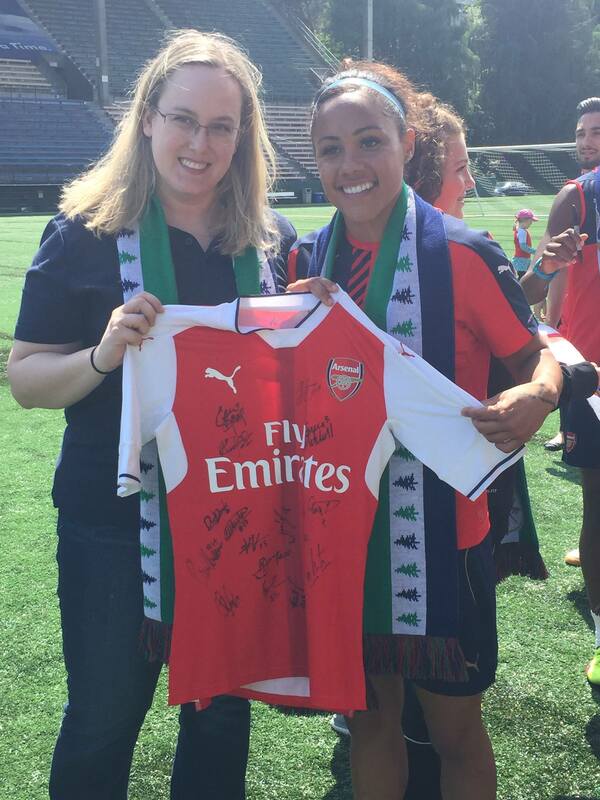 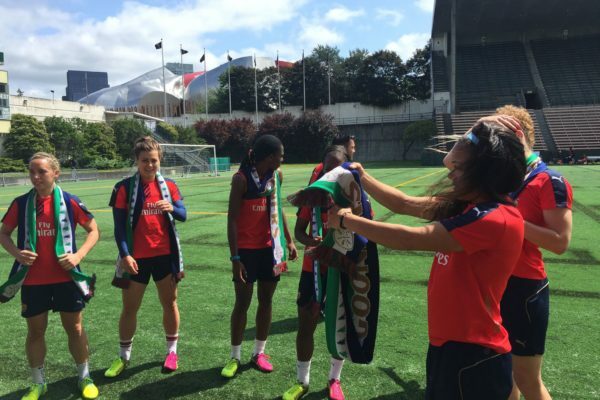 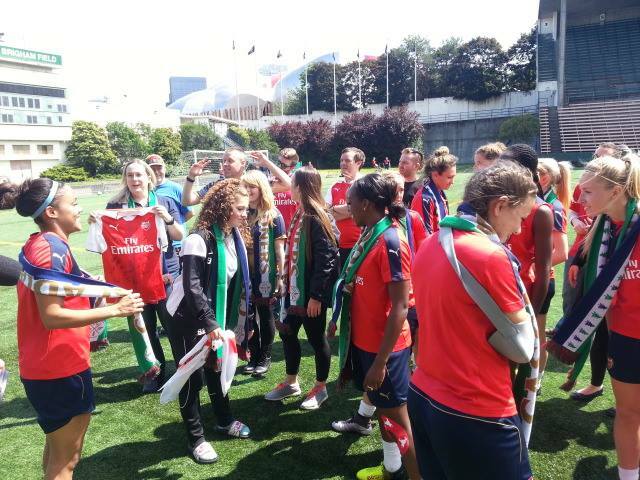 Gooner Angeline Welch accepted the Kit on behalf of the Cascadia Gooners from the Club and the Cascadia Gooners presented each and every Lady on the Team, along with the entire Staff that was in Seattle a Cascadia Gooner Scarf to memorialize their trip to Seattle.